A physical materialization of a thought, resulting in the creation of a being or object. Tulpas, also known as thoughtforms are frequently used in ceremonial or chaos magick. A tulpa is the given name to anything formed through the meditation (focusing) of an idea. The theory is that if you meditate hard enough on an idea, it will materialize. Tibetan monks practice this often, and teach it as part of their learning. Tulpa do not have to be live-creatures but can also be inanimate objects, animals, furniture, or creatures. There is a theory that the entire universe was made through tulpa meditation. A tulpa is hard to define, as anything could possibly be a tulpa. While the idea is still being focused on, the object or creature may change & morph into different forms as the idea itself changes. Tulpa can only be destroyed by eliminating the thought (if the tulpa is not yet formed properly), or the diluting the concentration of the thought, then destroying the object or creature. Interestingly, Mordechai Murdoch appeared to fit standard chaos magick practice for accidental creation of a 'Servitor' from a sigil, and appeared to be working its way up to an 'Egregore' (see: The Fluid Continuum). A tulpa has been theorized as the cause of a case by Sam and Dean on four subsequent occasions. 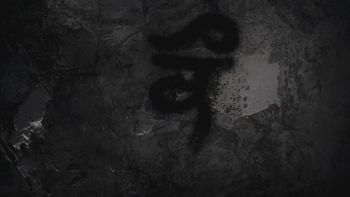 The first being in 1.17 Hell House where a Tibetan symbol is painted in a house which assists in concentrating mental energy and people viewing a website about the house help create a tulpa, the only actual occurrence of one in the show. The second 8.08 Hunteri Heroici, when cartoon physics begin to manifest in the real world; it is later revealed to be due to a elderly psychokinetic by the name of Fred Jones who had begun to lose control of his abilities because of his deteriorating cognitive faculties. The third incident was during 9.15 #thinman when Dean accuses the Ghostfacers of cooking up the legend of Thinman with a tulpa. Finally, in 10.05 Fan Fiction, the Greek goddess Calliope conjured a scarecrow which Dean assumed to be a tulpa brought upon by a Supernatural play's dedicated contributors. This page was last edited on 22 March 2019, at 06:26.